Athletes in all sports are constantly looking for an edge. Often, the focus is on increasing speed. The importance of high-intensity training cannot be underestimated, but there are prerequisites. These are part of the MAF Method, allowing athletes to develop a lasting individualized plan to improve fitness — including speed — while also maintaining optimum health. A secret to improving speed is careful preparation. It’s as important, or even more so, than the training technique itself (there are many). 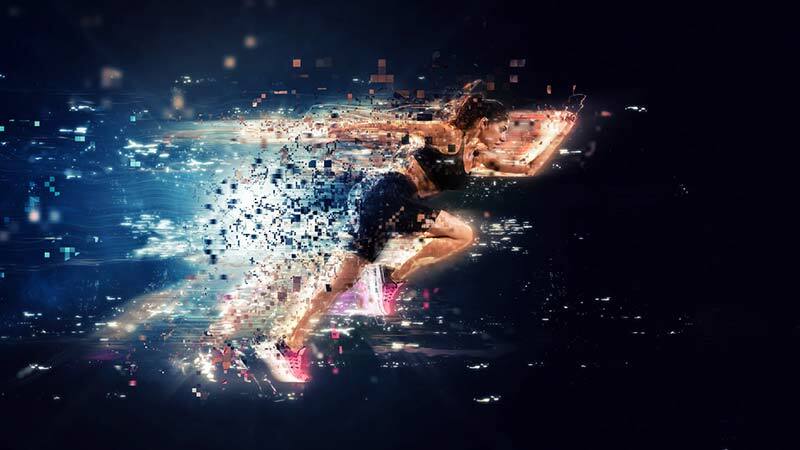 Unfortunately, there are many prerequisites to building speed that too often go ignored, or are not properly implemented before adding speed workouts. Skipping these key requirements can lead to injury, ill health and overtraining. They are outlined here with links to articles for more detailed information. In addition to HIIT, there are a variety of common training techniques used for increasing speed. They include improving gait, strength training, drills such as leaping and bounding, plyometrics (jumping) and improving flexibility and mobility. While these exercises can complement speed training, they should not replace any of the prerequisites. Humans already have built-in natural speed just waiting to be called upon. Consider that most people, even those who are out of shape, can sprint fast across the street to avoid a vehicle, catch a child in distress or just get out of a sudden hard rain. This has more to do with our sympathetic nervous system that’s able to turn on the fast-twitch muscles — even if they’ve not been used much in years. If it’s just the occasional sprint across the street, we already have it. Further developing this natural speed to carry over to athletic events requires a training plan that prepares the body for more consistent and extended efforts. Otherwise, a well-known phrase becomes applicable: Speed kills. Endurance athletes want to perform faster at relatively low levels of VO2max compared to a 200-meter sprinter. Those who play soccer and other team sports fall somewhere in between. The prerequisites, however, are common to all. Brain Power. When it comes to getting faster, the most important part of the body to consider is the brain. Bill Bowerman, legendary coach (and co-founder of Nike), put it simply: “The idea that the harder you work, the better you’re going to be is just garbage. The greatest improvement is made by the man or woman who works most intelligently.” It’s the brain that triggers muscle contraction and relaxation, regulates the necessary energy, improves economy, and monitors workout recovery. A healthier brain does all this and more, better. Body Composition. For increased running speed, including for those participating in team sports, as well as for cycling and most other activities, body composition is a make-or-break factor. A heavier body is simply more difficult to make go fast. Often this is due to excess stored fat. As you develop the exercise and nutritional factors described below, excess body fat should reduce to optimal levels. Excess muscle mass can also add more weight to the body. This may be the result of strength-training methods that add muscle mass. We don’t need to add muscle bulk to get stronger or faster (unless we’re lacking muscle mass), as mentioned below. Aerobic Speed. With aerobic and anaerobic muscles in mind, let’s consider that there are two different types of speed. Aerobic function provides submax speed as well as endurance. The ability to run faster at the same submax heart rate, for example, allows a 10K or marathon runner to perform faster despite no speed training. Aerobic slow-twitch muscles are more economical and fatigue-resistant than the neighboring fast-twitch speed fibers. The former feeds the latter, and is an integral part of being healthy and preventing injuries. The best way to train for aerobic speeds is by personalizing submax training HR using the 180 Formula. Once aerobic base speed is built we can move on to add more high-intensity speed. – Balance. Working in harmony, muscles move us through the water or over the ground. Even a slight irregularity in gait caused by an imbalance in muscles can reduce movement economy and slow us down. This neuromuscular imbalance between brain and muscles is due to some physical (foot or shoe problems; trauma), biochemical (poor diet or hydration; medication), or accumulation of other stress, with overtraining an end result. – Strength. A separate muscle issue is strength. Traditional weight-lifting routines can often diminish aerobic function, impair gait, add bulk and weight, and reduce endurance, slowing us down. Instead, rely on strength training methods that won’t produce significant fatigue or bulking. Being strong enough to tolerate speed work is important. Foot Force. The feet are our physical foundation, allowing us to harness the gravitational impact forces from hitting the ground, turning that contact into additional energy for more speed. This unique energy-return system can be a significant contributor to speed. Muscle imbalance, weakness, overstretched tendons, inflexibility and other problems render many feet unable to work well. One result may be that each foot is on the ground longer, reducing speed. A common cause of foot dysfunction is shoes with over-supported, thick-soled, and outsized heels. Heavier shoes can also slow you down. Nutrition. Eating healthy foods can improve fat-burning (for more aerobic speed), help speed recovery, even from HIIT, spare glycogen, balance muscles, and build a better aerobic body. These and other factors are impaired by eating refined carbohydrates (sugar and processed flour) — avoid them if you want to get faster. This does not mean during hard training or competition, where consuming carbohydrates has value. However, when fat-burning is high, less carbohydrate supplementation is required as fats are used for energy, and glycogen in spared, in all athletes. This reduces the likelihood of indigestion or other GI upset. While these seven prerequisites are vital, athletes who are not otherwise healthy and fit should not perform speed training. Physical injuries, hormone imbalance, illness and other problems indicate you’re not yet ready. In addition, if your life’s busy schedule is difficult to manage, finding a non-stress period of time for yet another high-stress activity can be challenging and counterproductive. With proper preparation, you’re now ready to obtain more speed without risking injury and overtraining. There’s no magic workout, the simplest easiest high-intensity speed techniques most already know about can work well for most athletes. High-intensity interval training (HIIT) is a very effective approach. Fartlek is a natural, brain-driven workout that can work well too. Following aerobic, submax speed development, competition itself also increases one’s speed. Be relatively rested going into speed training, so little or no training the day before. An easy, active aerobic warm up and cool down, which may require 30 minutes or more. A tolerable interval distance (how far or long you maintain high intensity) as per your sport. Shorter interval distances are less stressful and can usually provide the same results. Recovery is vital; speed training initially causes muscle fatigue and weakness, so reduced or no training the day after is important. Two to three days between speed sessions helps ensure proper recovery. For a comprehensive and scientific explanation of how and why HIIT exercise works and how to best implement this strategy into a training program, check out the new textbook, Science and Application of High Intensity Interval Training: Solutions to the Programming Puzzle by my colleagues Paul Laursen and Martin Buchheit. How do you suggest losing this excess muscle mass? DEXA shows 10% body fat but still 89kg. Not efficient for running really.